Back in July, we told you about the UMi Zero 2, being produced by yet another small Chinese smartphone manufacturer. Like the YotaPhone, this handset featured a second E-ink display on the back of the unit. Or at least it did during the summer. By October, when UMi teased the Zero 2, the second screen had gone MIA and was replaced by a rich looking leather back. Today, we received the latest specs for the UMi Zero 2, and it will now be released in the second quarter of next year with a Helio X20 chipset from MediaTek under the hood. That means that the device will offer a deca-core CPU. 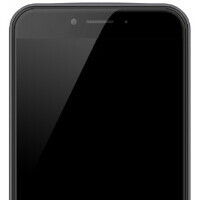 The phone will be equipped with a 5.2-inch Super AMOLED screen with a 1440 x 2560 resolution. That works out to a 565ppi pixel density. The screen, by the way, is being produced by Samsung. The UMi Zero 2 is obviously sporting high-end specs. It will have 4GB of RAM inside, along with 64GB of native storage. The phone is equipped with a dual camera setup on back, in order to offer certain Lytro-like features. You should be able to change the focal point of a picture after it has been processed on the handset. UMi says that the Zero 2 will be priced at an affordable $299, which would seem to represent a pretty good value. That is, as long as the company doesn't change the specs and the design again. That's Pretty Damn Good But 1080p Would Have Been Better Tho. The screen Is 5.2 and the X20's mali t-880 mp4 isn't the best if they'd gone with the mp8-12 version it wouldn't be A problem, and I hate that it's A selling point cause with phones like this it really impacts the battery life and gaming performance. What could have been A good device will now be A laggy mess. 2k or higher is needed for VR. Mali t880-mp4 is not suitable for 2K displays i.e it is underpowered in relation to 2K display. Frame rates will certainly drop in games. 1080p display will suit best for Mtk helio X20. 299$ selling? wow, they want me to buy it. I am thinking how to control my urge to purchase it. Control Your Urge Cause This Phone Will Be A Laggy Mess. 2k Screen With The Mali t880-mp4 Just Isn't Smart. Doubt this will be something. I remember the original zero was all hype but once you got it the performance in the real world undelivered. Like so many other potentially great phone bargains, I expect it'll only support Asian LTE bands. that 2K screen will push the MP4 to its limits, and then some. this will lead to bad battery life. on top of that, Sammy will not give them the most efficient AMOLEDs, which will lead to even worse battery overall than using a good IPS LCD. Finally, I doubt that the X20 has a good enough ISP to make really good pics. People forget about all that other stuff and just remember CPU/GPU. All in all, this won't be a very good phone. There are people who takes the ISP into consideration. As well as the DSP, DAC. Heck, Image Processing Algorithm is the most factore of good pics. Another day, another Chinese phone with specs and a price that's to good to be true. Which it is. I've tried 5 Chinese phones. The best being the Mate 7. They ALL WERE HORRIBLE. Battery life were just terrible. Software laggy as hell. We're talking equal to that of the 1st gen smartphones. Mate 7 4100mah. Battery with barely a 4 hour sot. Looks like iPhone 6, Samsnug Galaxy S6 and LG G4 had thresome and a baby... G4 back, S6 home button and 6s sides..